Gold Avenue Gold price chart shows real-time data for Gold prices today and the historical price of Gold per ounce. Gold prices may be viewed for any date up to a year by hovering your mouse over the chart to view spot Gold prices for each day. If you are thinking about investing in precious metals, then you are at the perfect place! Gold is the most valuable and popular commodity available on the market. Gold Avenue has a wide and beautiful selection of gold coins or ingots/bars available for you to start your precious metal journey. You can choose between the most popular gold coins on the market: like the classic American Eagle coin from the US Mint or the stunning Canadian Maple Leaf from the Canadian Mint. If perhaps coins are your cup of tea, we also have classic and historic bars available like the Lady Fortuna. Gold is a timeless and elegant commodity that every investor wants in their precious metal portfolio. Gold bars are considered a unique and wise investment in the precious metal market alongside Gold coins. Gold bars are generally much larger in size, and heavier in weight than coins. There is not as much variety available with Gold bars either, simply due to their ‘set size’, however, their classic designs are renowned worldwide. Gold bars are considered to carry intrinsic value, as there will always be a market available for Gold. You can always invest in Gold for your future or gift to your family with a generous investment. Treat Gold as an investment opportunity. 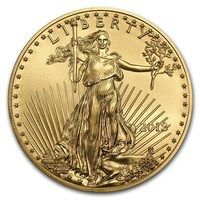 At Gold Avenue, we offer a wide range of Gold coins. There are many mints available worldwide, each with unique individual designs. They also vary in size, weight, valuation, and style. Many Gold coins are often limited editions or collectibles, hence, making each purchase unique, and your return on investment may exceed the gains earned over time. Currently, there are over 30 types of Gold bars circulating the world's precious metal market - meaning there are endless possibilities to pick from. Buying Gold Bars is the most popular way of investing in the precious metal market. It is considered a great way to diversify your precious metal portfolio. Each Gold bar is stamped with its weight, its gold purity, the year of issue and the serial number. Gold coins are a very unique investment. They are considered a legal tender, and they are produced and recognized by the issuing government. The coins are always labeled carefully with the correct year of issue, the gold purity and the weight of the coin. Gold prices fluctuate daily, as it moves separately from the stock market. Gold prices can be affected by several different factors. Factors like shifts within the money market and the stock market, a recession, or the threat of a recession, elections, political movement or geopolitical issues. These are all factors to consider when stepping into the precious metal market.